Who’s the 5 best rappers in the World? Ya’ll are lucky to be getting a double dose of the Groove this week. 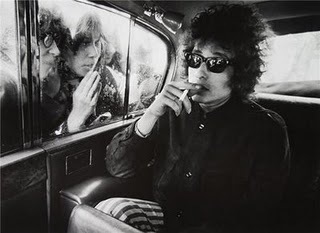 There was a certain Bob Dylan theme surrounding the day that definately had me doing some intense research. Early in the day I heard a great cover of “I Was Young When I Left Home”, which didn’t even make it onto any Dylan albums; it probably would have been on his first. Interesting to mention that out of 13 tracks on his first album, “Bob Dylan”, only 2 were written by the great poet himself. Regardless, the cover of that great tune can be found on a brand new album called “Dark Was the Night”, produced by The National’s Aaron and Bryce Dessner, just released. The original can be found on Martin Scorcese’s soundrack to the documentary, “No Direction Home”. That got me searching for some old school Dylan. A little bit of Highway 61 Revisited ensued. Later I heard another great Dylan cover done by Phish. Always one to nail a great cover, during a live performance in Washington, circa 1994, the band ripped into a killer, rockin’ “Fixin to Die”. Think a conglomeration of the eclectic nature of early Beck, lo-fi, indie sound of Pavement, rock genius and country twang of Neil Young and Bob Dylan, and the pop sound of the Beatles rolled into one. 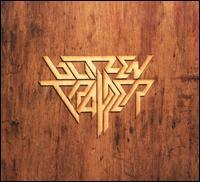 Portland, Oregon’s Blitzen Trapper puts out its second album in fine fashion. This is a solid release. Raucous, gritty, organic, raw sound that manifests that rock is still alive and well. If you haven’t heard it yet, you will; and if you already are hooked as I am, keep on rockin’.